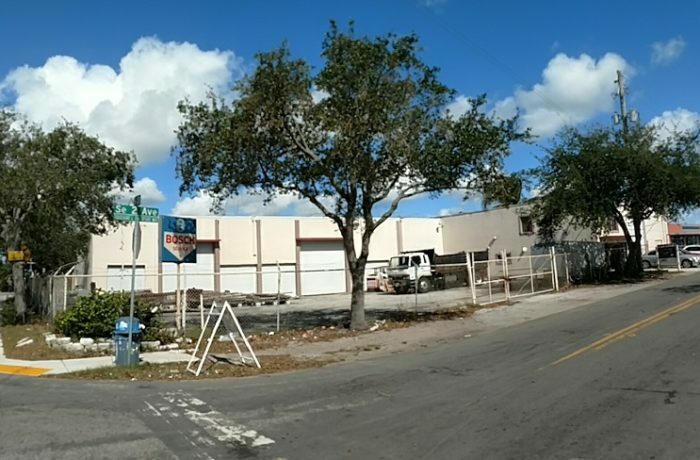 Single Tenant Warehouse in Osceola Park area slated by city's CRA for Progress and improvements! Lighting and curbing updates just south happening right now to make for improved walking to and from downtown eclectic Atlantic Ave. New alleyways being constructed as well. This location is a very hot area for development opportunity. Existing building also has potential to build-out for multi-tenancy. This will be the next area to undergo a renewal as all the new development is completed in the South of Atlantic (SOFA) district. Caspian Luxury Apartments, Sofa Luxury Apartments, 111 First Delray 70 unit condos, and Midtown Delray new development all less than an 8-minute walk from this property. Delray Beach was voted "Most Fun Small Town in America" by USA Today 2012 and is a three time All American City. Located in the HOT new SofA District (South of Atlantic) in Osceola Park between Federal Hwy and Swinton Ave., and just blocks from the famous and eclectic downtown Atlantic Ave. More than 6 major investment projects happening right now in downtown Delray Beach and another huge 7-acre mixed-development slated for South Swinton area just blocks from this location.